Today’s retail environment is cluttered with marketing advertisements and customers have learned to subliminally ignore the constant advertising bombardment. Digital signage is a way to break through and get noticed as the fast and flashy content captures consumers attention and enhances engagement. 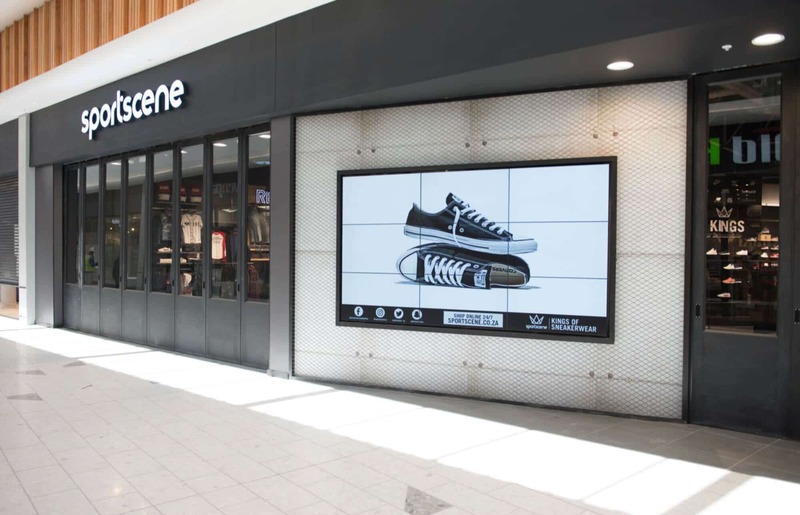 Digital signage solutions provide customers with relevant information and allow brands to update their content in real-time with the latest campaigns. Fresh content ensures that the advertisements displayed are still relevant while also creating engagement as consumers will look to the displays for new product offerings and promotions. The Foschini Group (TFG) encompasses 22 brands, such as Sportscene, Fabiani, Duesouth and American Swiss. AVT Solutions design, install and maintain all the digital signage solutions for TFG brands, this includes remotely managing content. Each implementation is different as the solution is based on the brands look and feel, shop design, location and purpose of the display. For more information on a tailored solution for your store contact us now.